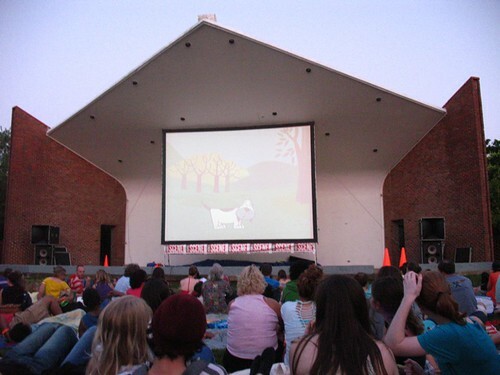 We hope you’re ready for your road trip to Movies In The Park tonight! Ha ha, just kidding, Percy Warner Park isn’t that far. Yes, as you’ve probably heard by now, the Nashville Scene‘s Movies In The Park is relocating after 16 years in Centennial Park. This year’s Movies In The Park series will take place at Percy Warner Park’s Cross Country Fields off Hwy 100, kicking off tonight with a screening of last year’s blockbuster The Help. As in previous years, movies will start at sundown, but the festivities will begin each week at 4pm with food trucks and… food trucks (Nashville, we are easily entertained). Food vendors include Moe’s, Ben & Jerry’s, Stonehouse Q, Kona Ice, The Grilled Cheeserie and Moose Head kettle corn. So there you have it! Tell us, because we’re ever-so-curious: Will you be making the trek to Percy Warner Park for Movies In The Park this year, or does the move take it off the table for you? UPDATE: Here is a map that may or may not help you find the mythical “Cross Country Fields”!